PotsLightning – Max. 25 % ATD conference discount for PotsLightning attendees! I knew, that my company Diaz & Hilterscheid was always big on supporting the testing community; ever since I attended my first RST with Michael Bolton in 2009 in Berlin; organized by them. For the PotsLightning they already sponsor the room at the Dorint Hotel and now they surprised me even more. With no strings attached they offered a discount for our attendees for the Agile Testing Days (ATD) conference (see below). So if you were unsure, if you could attend PotsLightning, now you have another goodie. Come on the weekend before the ATD, have a good time with passionate agile people from all kinds of the profession and attend the ATD with a good chunk of the price. 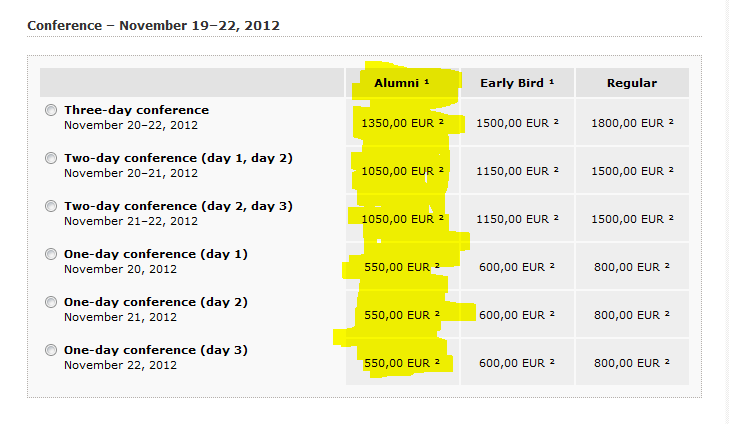 If your attend PotsLightning, you get a special ALUMNI code, which you need to use on the ATD registration page; otherwise it won’t reflect on your invoice.